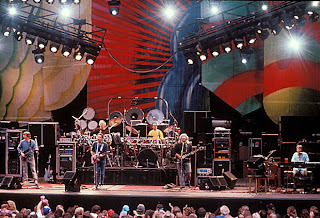 I was never a Deadhead, but I had lots of friends who were. They finally dragged me to a show on July 6, 1995 at Riverport Amphitheater in St. Louis. Lucky me too, Jerry died almost exactly a month later.